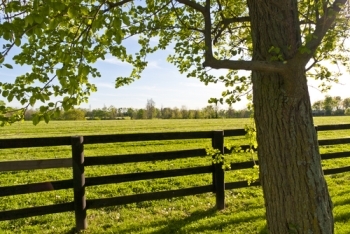 Lexington is the perfect place to pursue your dream of owning a quality, award-winning farm. The city is known for their fertile soil, cleanliness, horse breeding, and the Bluegrass region. But that's not all that Lexington has to offer. The exceptional pastureland and limestone provide farmers with the opportunity to raise champion horses. The quality land helps farmers raise a medley of phenomenal breeds and boasts exemplary standards for competition horses. Lexington farms for sale are well-suited for horse farm owners who want nothing short of the best. Lexington is also well connected to the rest of the state, only minutes from Nicholasville, I-75, I-64 and other major thoroughfares, making this city ideal for commuters. Learn more about Lexington farms for sale, see current farm listings below. Lexington, KY farms for sale are extremely high quality and flat, making it ideal for horse farms and other agriculture interests. 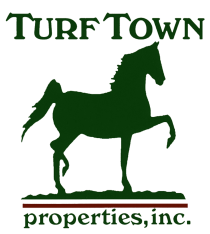 While it is some of the most expensive land in central Kentucky, it is also the finest, and suits the needs of the world's best hunter/jumper horses and thoroughbred colts. Additionally, living in Lexington gives farmers the small town charm they're looking for with the amenities of a large city. Buyers interested in Lexington farms for sale will find that there are plenty of options on the local real estate market. Ranging from as low as $100,000 to upwards of several million dollars, there is a substantial range in size, luxury, and construction dates in this market. This ensures that whether a buyer is making a first home purchase, or they're purchasing an estate, they will find what they're looking for. On the low end of the market, find undeveloped 10 acre properties. These can be ideal for those who dream of starting their own hobby farm. With ample space to keep a few horses or grow a comfortable crop to sustain you and your family, there are plenty of ways to make these properties fit your lifestyle. Mid-ranged properties on the market may be priced around $500,000. Some of these offer fantastic horse riding facilities. Well maintained pasturelands, riding rings, and handsome barns make the perfect abode for your equine friends while charming country-style houses are the ideal place for you and your family to enjoy a high quality of living. On the high end of the Lexington real estate market, multi-million dollar mansions offer exceptional luxury opportunities. Often, these impressive estates are set on hundreds of acres. Featuring impressive Colonial and Antebellum architecture, these handsome homes offer classic Southern elegance at every opportunity. Some of these properties date back to the 1800s and have been carefully maintained and cared for by previous owners. Others reflect more modern building styles. It should come as no surprise that many of the acreages in this area are accompanied by horse facilities. Only minutes from Georgetown and Midway, you'll find the horse capital of the world: Lexington, KY. Nestled in the heart of Bourbon County, this thriving center is known as the birthplace of many exceptional thoroughbreds. And while equestrian enthusiasts are abundant in Lexington, there's still plenty to do in this city that goes beyond horse racing. Lexington receives four seasons of moderate weather. The snow doesn't stick long in the winter, and the summer heat pales in comparison to other Midwestern regions, making Lexington a pleasant place to own a farm throughout the entire year. With an emphasis on Southern hospitality, Lexington boasts a population that is also educated and welcoming. Breathtaking scenery, low crime, minimal traffic and historic districts are just a few additional reasons people invest in Lexington farms for sale.